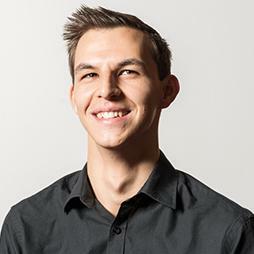 Michael Olsen completed his third and final year at the Australian National Academy of Music (ANAM) in 2018 studying with David Elton and Tristram Williams. Michael grew up in rural Western Australia, where he first started learning piano and violin, before picking up the trumpet at the age of ten. He began his Bachelor of Music at the Western Australian Academy of Performing Arts (WAAPA) studying with Peter Miller, before transferring to a Bachelor of Music in Advanced Performance at Queensland Conservatorium, Griffith University, where he studied with Sarah Butler and Richard Madden. In 2016, Michael’s ensemble performing Stravinsky’s Octet was awarded First Prize in the ANAM Chamber Competition. Michael has had orchestral engagements with the Melbourne, Sydney, and West Australian Symphony Orchestras, and in 2014 completed a six-month internship with the Queensland Symphony Orchestra. He has performed as a soloist for Josh Groban’s Melbourne Stages tour, and has also been a regular member of Australia’s leading youth orchestras, including the Australian Youth Orchestra, Queensland Youth Orchestra, and the Australian International Symphony Orchestra Institute (AISOI).